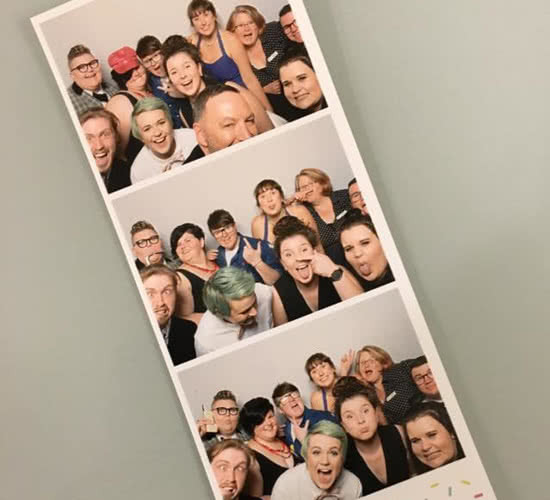 YWCA Canberra: A night to remember at the LGBTIQA+ Allies Prom! A night to remember at the LGBTIQA+ Allies Prom! Maintaining mental health is challenge that many people face on a daily basis. Young people aged 12-25 years who identify as sexuality and gender diverse are five times more likely to attempt suicide, almost twice as likely to engage in self-harm, and twice as likely to have symptoms of a mental health disorder. In order to address some of these issues, the YWCA Canberra Youth Engagement Team set out to show young people who identify as sexuality and gender diverse, and their allies, just how important they are in our community, and give them an experience to remember. With support from an ACT Mental Health Week grant, and from a range of local orga nisations including Aids Action Council, A Gender Agenda, Belconnen Community Service, Headspace, Sexual Health and Family Planning ACT and the Woden Community Services Youth Engagement Team, The LGBTQIA+ & Allies Prom was born. Held on October 14 at the Ainslie Arts Centre, the LGBTQIA+ & Allies Prom saw 78 young people come together in a safe and inclusive space, to dance the night away and form connections with their peers and a range of ACT organisations. The Prom featured a professional DJ, a free photo booth, a lolly bar, and a catered dinner. Needless to say, energy levels were kept high throughout the evening! More than 20 staff from supporting organisations also attended the event, and provided information about the range of mental health services available for young people in the ACT. Deputy Executive Director of the Aids Action Council, Sue Webeck, gave an inspirational speech that highlighted the importance of supporting one another and seeking help if needed. She acknowledged the amount of community support available to assist young people in need, and attendees were encouraged to continue to embrace and celebrate their diversity. Feedback was very positive, with attendees thrilled at the opportunity to make new friends and express themselves. Parents of our young attendees were also impressed with how comfortable and happy their children were after the event. Attendees have asked for the Prom to become an annual event – so look out 2017, the LGBTQIA + Allies Prom is going to be even bigger and better! If you would like more information about our Youth Engagement Team, or programs that are available for young people at the Lanyon Youth Centre, please visit our website.